Read the detailed Gameplay Information. The Jiji Press Building in Higashi-Ginza is in a fairly non-descript part of town, next to Nissan's headquarters and near to several of Ginza's landmarks, but not in itself striking. 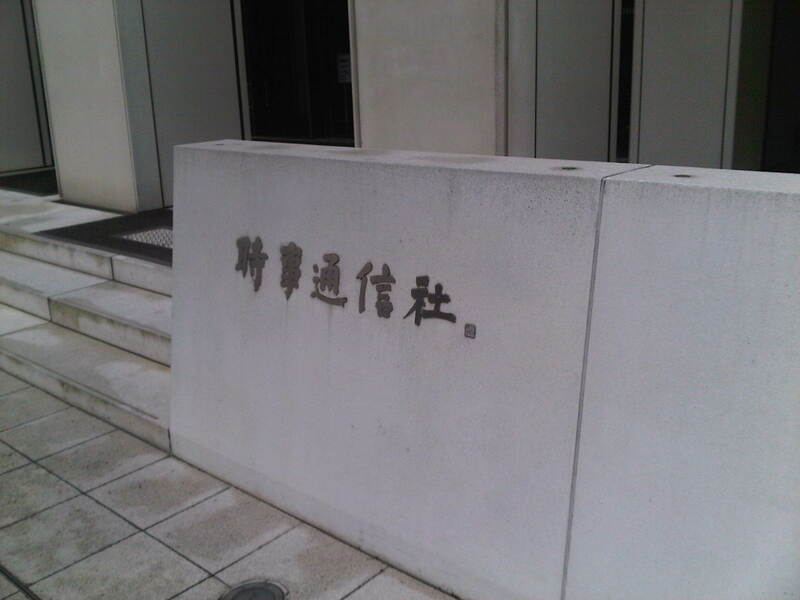 The building itself is tall for its age, marked by a small unimposing sign in kanji inset into the lower exterior wall. 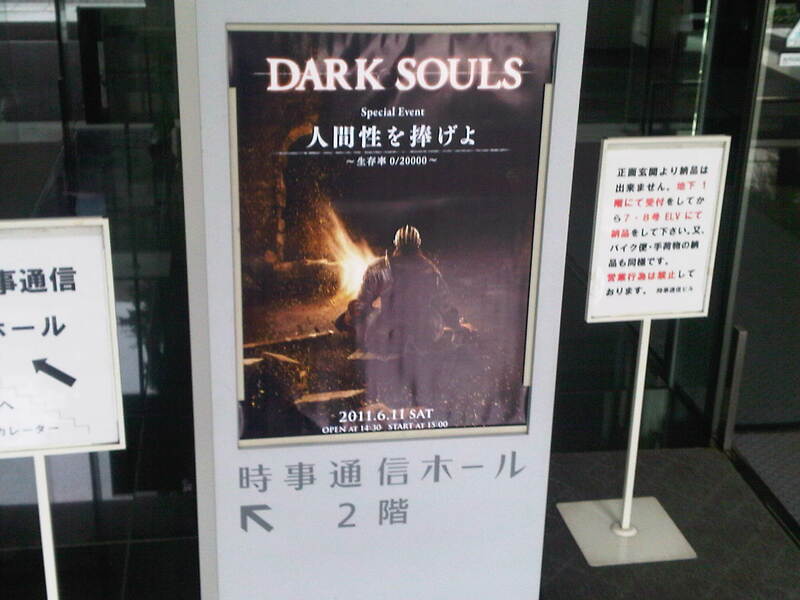 Entering the main hall, visitors were greeted by a centrally placed poster for the event and From Software staff in black T-shirts directing people to the second floor reception area. This was an invitation only event limited to 100 people, yet even at 2.30 the line for registration was long, snaked round in a limited area. 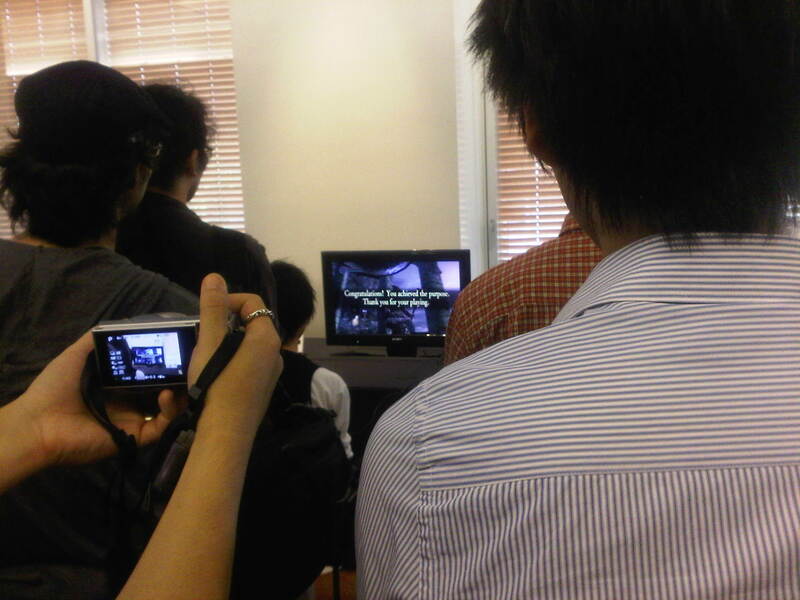 Pretty much everyone was there by 2.50 so the event started on time, as to be expected perhaps for Japan. 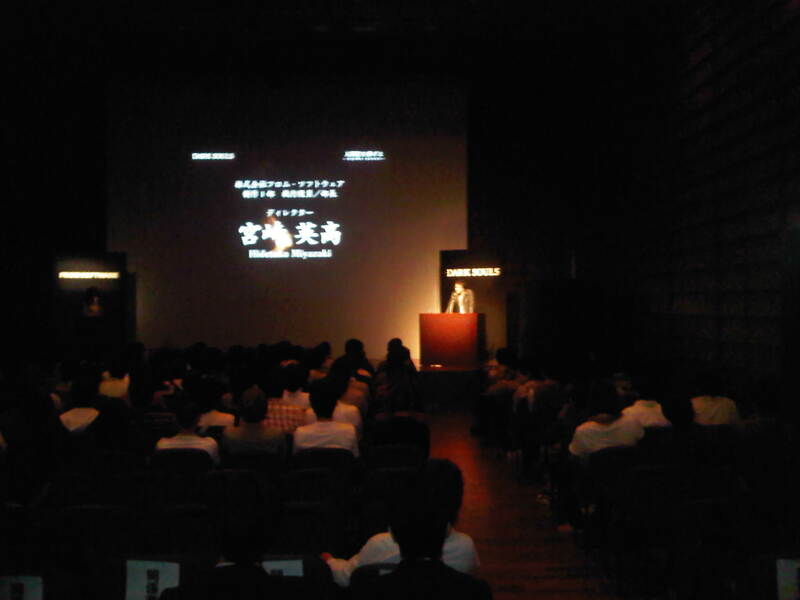 The first part of the event was a presentation in one of Jiji Press Hall's event rooms. With just 100 attendees, even with press and industry guests, this was a small affair, easy to see and hear. 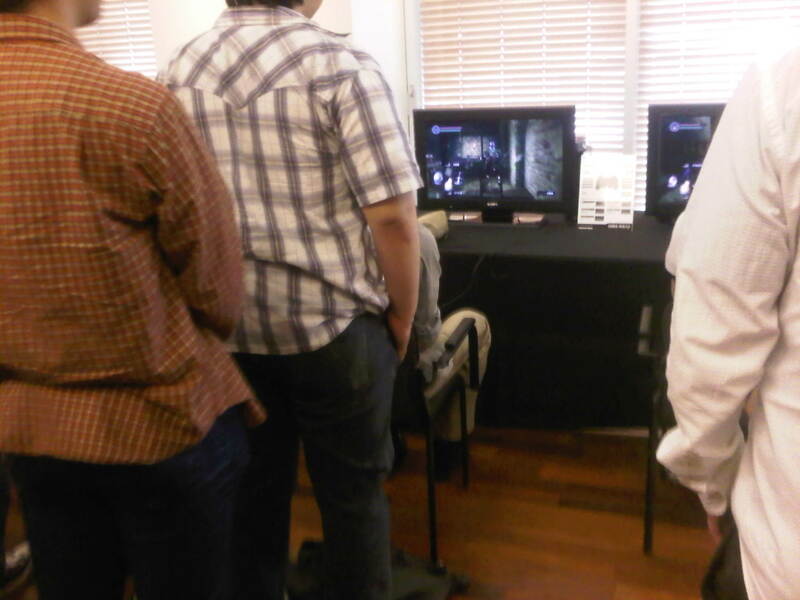 The purpose of the event was for fans to get a first hands-on, and, true to their word, From kept presentations to just 2, both of which were brief and to the point. 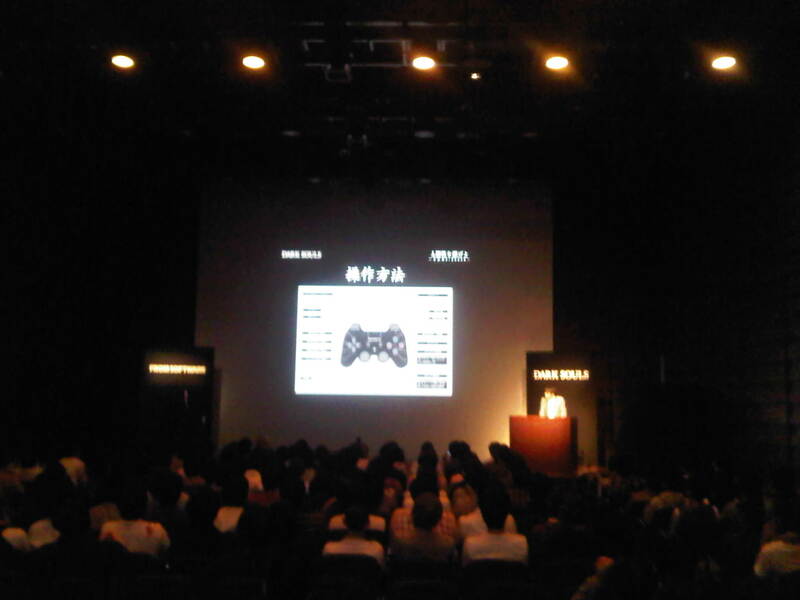 First up was the director Miyazaki-san. He thanked us for attending, and the content of his speech was pretty much he didn't intend to make one, just to let the fans play, enjoy - and maybe die, a line which got a laugh only from me and a press photographer standing to my right. Next up was From's Ogura-san. He started by explaining Dark Souls is a Playstation 3 exclusive (as it is in Japan), action RPG launching on September 15th at JPY 7,800. 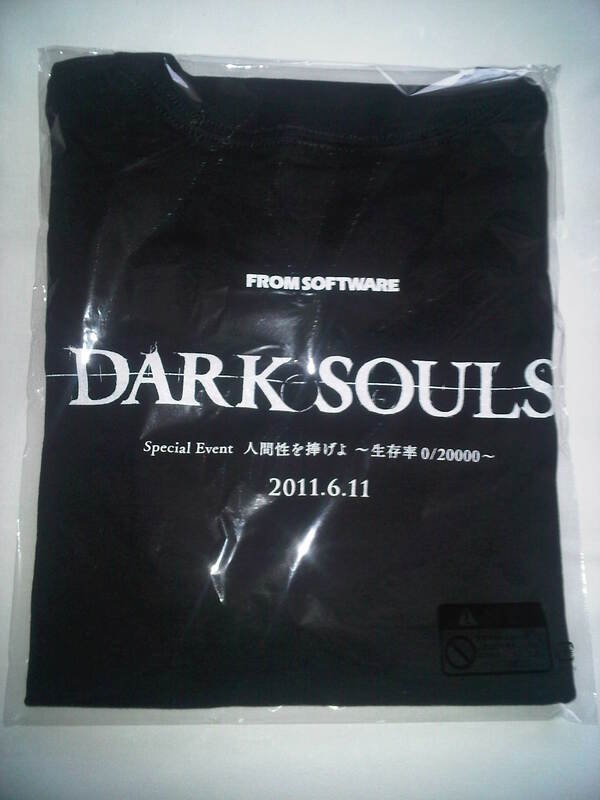 He introduced the 6 main character classes and explained the controls, which were, as he pointed out, largely unchanged from Demons Souls. 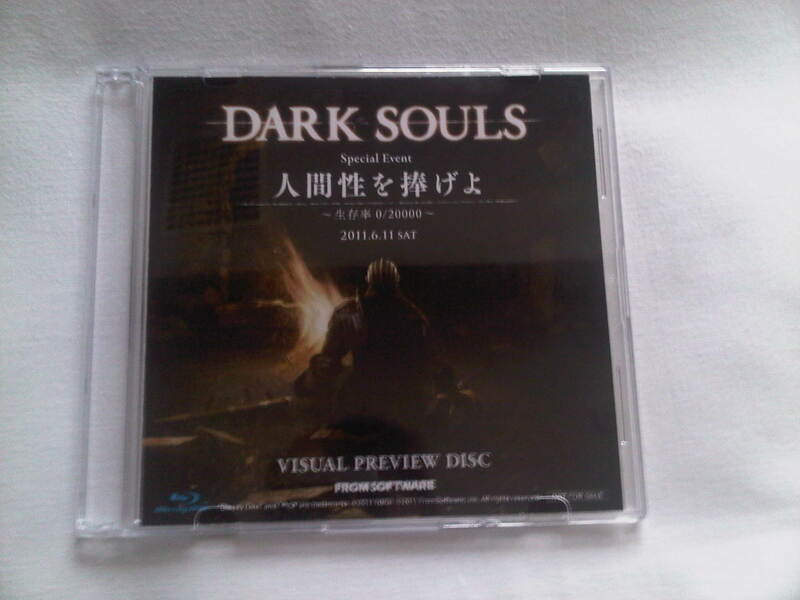 He also introduced the special edition, which comes with a map (unlike the game!). Finally and of great interest, From are running a Shield design competition for the game. This will start today, June 11th and run to the 30th. There is a template for creating your designs on the From website as of today! And with that they split us into groups to go try out the game. 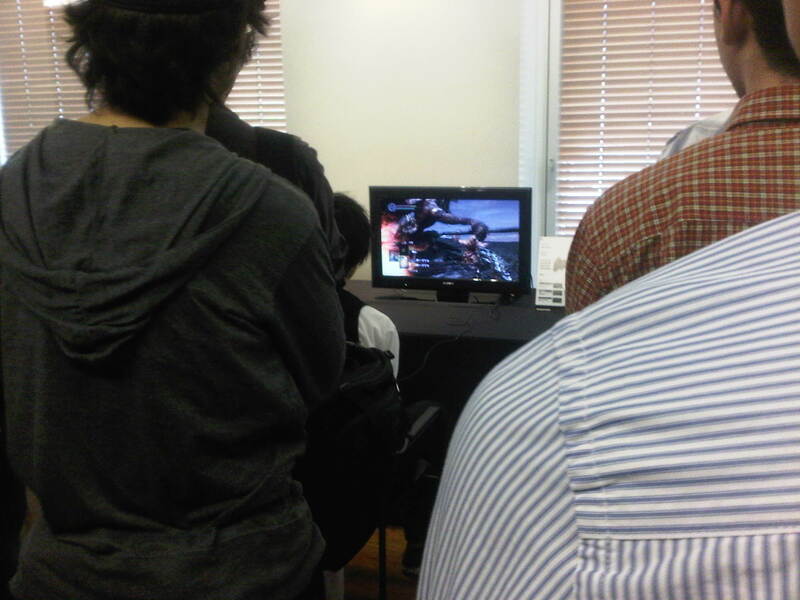 They set a time limit of 10 minutes per session, but with the number of PS3s available, everyone got numerous turns. Each line was maximum of 5 people, and when one person finished their turn they simply returned the back of the line and cycled back through. True to Miyazaki-san's predictions, a few people charged right in, perhaps with the 10 minute limit hanging over their heads, and got swiftly slaughtered. One of the first people I saw ran right at the Red Wyvern, got burned, turned round, found the bridge gate closed, and perished in the Wyvern's second angry blast. You Hollowed the screen reported. Elsewhere, another gamer was busily dealing with a couple of undead warriors when the mecha boar charged him from behind. Cue much amusing rolling around trying to get to spot to quaff some EST. No such luck - that's one fast metal boar. End of round one, and the second group up, who were notably watching the screen not playing with their mobile phones, exercised a little more caution. Someone killed the boar. Progress. What's notable is that even in darker corridor sections, the colours are rich without being unnaturally bright, and detail is high. The camera also works smoothly and well, and anyone who has had the misfortune to play Ninja Gaiden 2 will understand that. Even when being chased down a tight corridor by the boar (which takes up a lot of room!) the camera works to keep the action in your view. There's a mix of English in the game. The intro is narrated in English, and a number of English terms are used for on screen notifications - You Hollowed, You Died, You Regained and the misleading You Defeated. Other than that, menus are in Japanese. There is a simple menu off the Start button, with only three choices, the last being 'End Game" used extensively during swapover between the 10 minute sessions. The gesture menu appears at the top of the screen, called "Gesture" (in katakana) with the choices being illustrated by a series of horizontally arranged animations. The bonfire also has a menu - either Stand Up or continue on. Continuing on allows the "give humanity" option, which results in your character's arm extending over the fire. I couldn't tell the effect - but looking at the posters which state that at the start of this day we're on 0/20,000, and we know that the game world has a Flame at the heart of the world which is dying - are we sacrificing ourselves here....? While others are still running round the boar and others are figuring out the big knight in the Undead Church, a couple of people are determined to take on the wyvern. One guy decides to go for a dodging strategy. On an attack run at the wyvern, he turns, runs back and hides behind one of the bridge's pillars as the wyvern torches the bridge surface. It works! The pillar protects him. So, the wyvern takes to the air and roasts him from above. Oops. Around 3.40, some of the stalwart rotating players decide they've had enough of all this and decide to start invading other player's worlds. 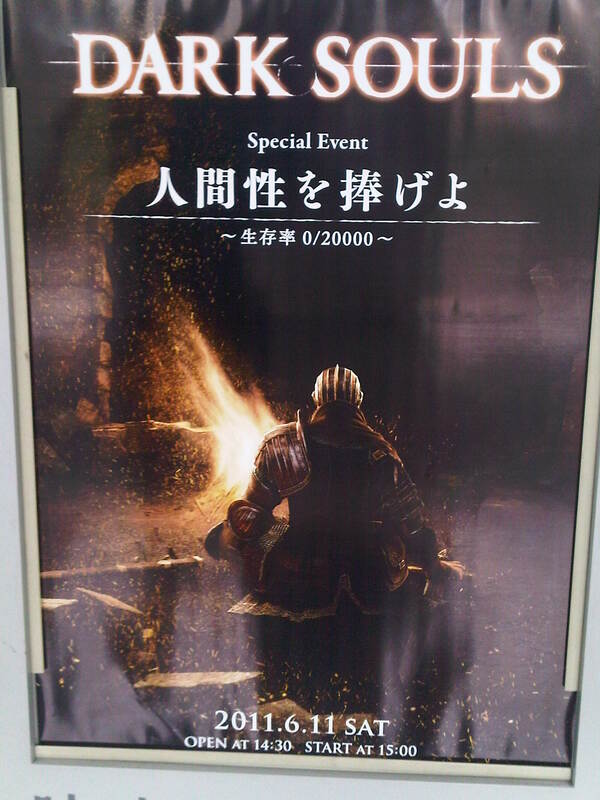 The bonfire seems to be linked to this - there is a "Gravelord" option which allows you to enter another player's session as a hostile, as in Demon's Souls. And it has to be said, the Black Knight entirely in glowing red is quite intimidating. I observe as a player observes in horror a "Gravelord" Black Knight rush him during an encounter with the Wyvern. He retreats - but the Black Knight pursues, and runs the hapless player through with his sword in a smooth and visceral animation of which it will become very annoying to be on the receiving end. Then there's a bit of a shift in atmosphere - several of the From staff are watching a player who has found his way onto a rooftop and is fighting a Gargoyle. A couple of others have also recently found this and been fairly swiftly dispatched. This player is giving the Gargoyle a good fight. "Dekisou na...." says a From staffer. And then, the player dies. A small sympathetic groan and they move on. But the crowd has picked up on this - and it 16.36, with all the From staff gathered behind, a Group A player beats the Gargoyles, climbs the tower and rings the bell. The toll rings out round the room. The message "Congratulations! You achieved the purpose. Thank you for your playing" appears on the screen. The From staff break out in applause. Ogura-san comes on the microphone and announces the first "clear" has been achieved. I was there to catch this on camera. Other than From staff, this is the first real player to clear an area - historic! How can we wait till September for our opportunity....? Gaming continued and around 17.00 a few more bells are ringing. The fans are learning, and everyone looks determined. Despite dying numerous times.